Staff is very nice. The staff guy helped me carry my luggage upstairs. They also let me leave my luggage inside the hotel while waiting for check-in and after check-out. Greeted by lovely staff on arrival, very clean hotel, comfortable double bed in a front facing room with a large opening window. Great location to explore museums and the park and also close to the tram stop. We liked how flexible the staff was during our stay. The bedroom and bathroom overall were 10/10 clean. The rooms are spacious for what the old-style housing looks like, but they're definitely comfortable. Staff was very kind, breakfast was OK, good location. We like the hote location (nice and quite), our room is cozy and beds are very comfortable and their staff is friendly specially Lucy. She's very accommodating. Easy access on Tram Stops which makes our stay very easy to go around the area. 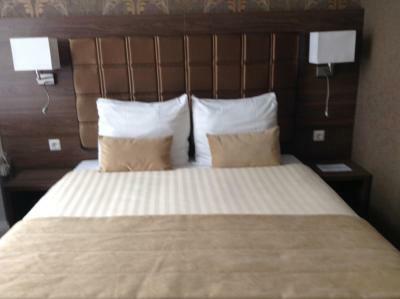 Aadam Hotel Wilhelmina This rating is a reflection of how the property compares to the industry standard when it comes to price, facilities and services available. It's based on a self-evaluation by the property. Use this rating to help choose your stay! 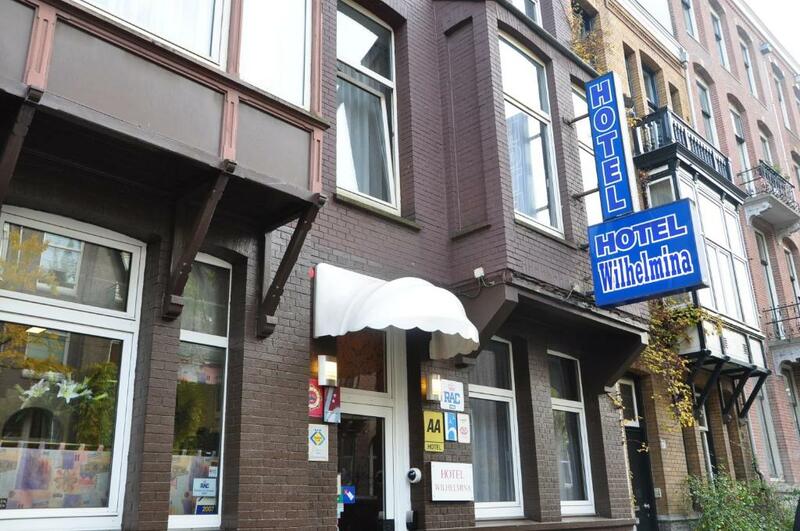 Aadam Hotel Wilhelmina is on the edge of cultural Amsterdam, a 5-minute walk from the Vondelpark and only 500 feet from a tram stop. 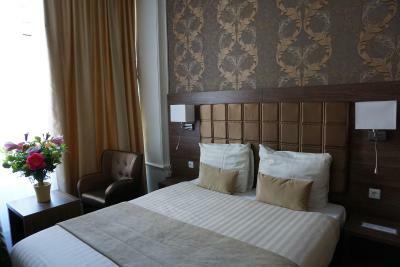 It features comfortable, bright rooms and apartments with modern decor, tea/coffee-making facilities, cable TV and free Wi-Fi. A continental breakfast buffet is available in the morning. For lunch and dinner, you can find a variety of shops, restaurants and cafes surrounding Aadam Hotel Wilhelmina. The Van Gogh Museum, Rijksmuseum and Concert Hall are only a 15-minute walk away. You can easily take tram 2 from the nearby Valeriusplein/Koninginneweg tram stop. 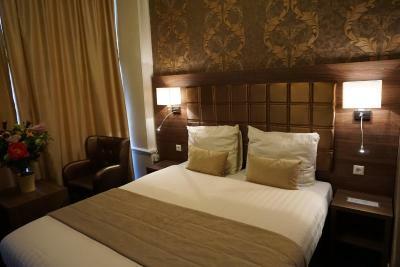 It provides direct access to Leidse Square, Dam Square and Amsterdam Central Station. RAI Exhibition Centre is a 10-minute drive from the property. Bicycle rental is also available on site. When would you like to stay at Aadam Hotel Wilhelmina? This room has a flat-screen TV and a desk. The bathroom has a bathtub or shower, a hairdryer is provided. 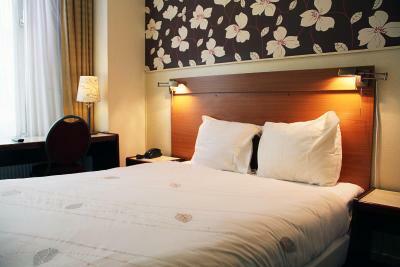 This room comes with large windows and 2 single or one double bed. Please note that this apartment is located a 10-minute walk from the hotel reception. Check-in is at the hotel. Breakfast at the hotel is available upon request. 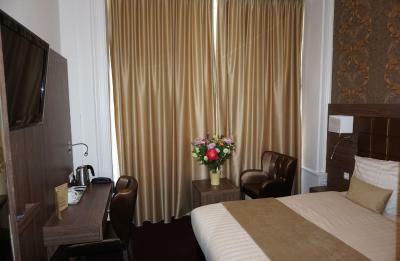 This single room features complimentary tea/coffee-making facilities. 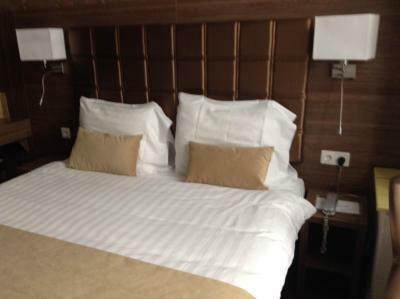 This twin/double room features cable TV and complimentary tea/coffee-making facilities. 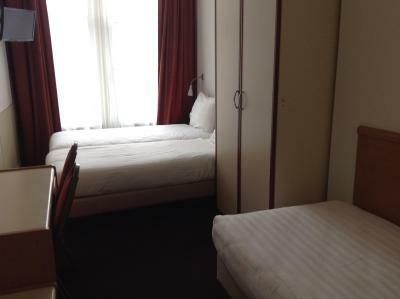 This twin/double room has complimentary tea/coffee-making facilities and cable TV. 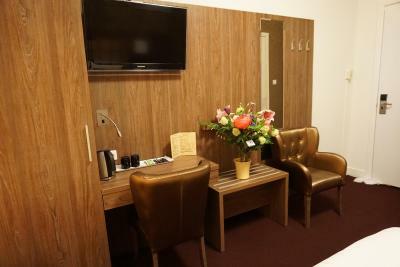 This triple room features complimentary tea/coffee-making facilities and cable TV. House Rules Aadam Hotel Wilhelmina takes special requests – add in the next step! Aadam Hotel Wilhelmina accepts these cards and reserves the right to temporarily hold an amount prior to arrival. For bookings of more than 3 rooms special cancellation policies apply. 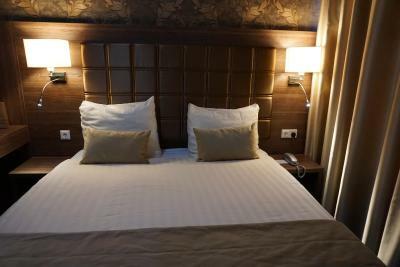 The hotel will contact guests after booking. Guests are required to show the credit card used to book the nonrefundable reservation upon check-in. In case the credit card owner is not traveling with you, a declaration form will be sent to you to prepay your stay. Please use the Special Request Box when booking. Third party credit cards cannot be accepted. The reception is open until 23:00 hours. You can contact the hotel directly in case of emergencies after 23:00 hours. Please note that luggage storage is not available due to limited space at the property. Please note that the security deposit may be authorized on the credit card upon arrival. The wifi was intermittent, which made a work trip more difficult. The decor was very dated. The bed was comfy, the bathroom was big and had a bath. The bonus was a kettle in the room, which doesn't always happen in Europe. The hotel was quite run down. Wallpaper was coming off in our bedroom. 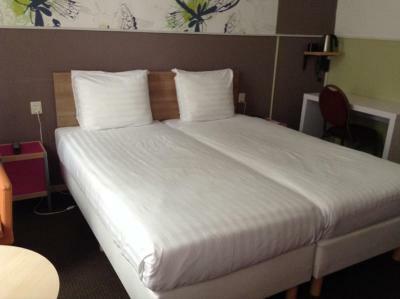 The beds were twins, pushed together, but we had separate duvets that didn't fit the covers and the bed sheet didn't fit the bed! There was building work going on next door and we were woken around 7.15-8am with drilling and banging noises, it was loud! The hotel is small and that is reflected in the area for breakfast. The shower was quite good! It is very near a nice park- Vondel park- which was lovely to walk through. And that's about it really! Creaky floor and generally noisy room - we heard everyone passing by through the hall or walking above. Also, although the room itself was quite pretty, one of its walls was... like from another room, a poorer one. Not sure why it hasn't been renovated. Nice location at relatively good price. Very close to beautiful Vondelpark, and not too far away from nearest tram statinos. We loved the trees behind our window. The rooms are small and not really equipped for relaxing. The TV is tiny, and hung too far up the wall to see well if you're lying in bed. So if you want to spend time unwinding in the hotel room in addition to sightseeing, it's better to either spend more or get something nicer that isn't so central, and use public transport/Uber. The location is nice if you don't want to be in the super-touristy center. It's near the Vondelpark and museums in the beautiful Oud Zuid district. You can also walk to the center in about 45 minutes, through other lovely parts of the city. 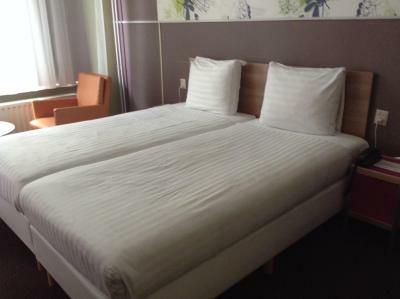 They could doing something more to be really better: the staff could smile, the room could be cleaned better: the staff was kind but not cozy and, apparently, not so happy to work with people; in my room the floor had old stains, and the pillows had old linings. It is 20 minutes walking from the Van Gogh Museum, 10 minutes from Vondelpark and 30 minutes from the city center. They asked me to pay to keep my bagages for the afternoon after the check out. It was too much expensive, without any comfort. Great location close to No2 Tram and Vondelpark. Wifi was really bad due to construction on the tram line down the street. Quiet location. Rooms a bit dated but comfortable and clean. I’d stay again. The hotel is well located, close to a tram stop. Room was very clean, with tea and coffee facilities. Staff was very polite and helpful. No lifts . Breakfast does not worth 10 euro per person per day at all . Bed sheets not being changed everyday . We noticed they change it day after day. Very clean bathroom and floor . Big room and bathroom . Nice location. Nice view . Quite area in almost central amsterdam near line 2 tram station which is the best tram line in Amsterdam. Near very nice parks and green spaces. Staff are friendly. Worth the money . No regrets. Very rude staff! Went around accusing people in the hotel of smoking weed! Very dirty, rude staff, hairs everywhere. I have to honestly say, worst hotel stay in the world! 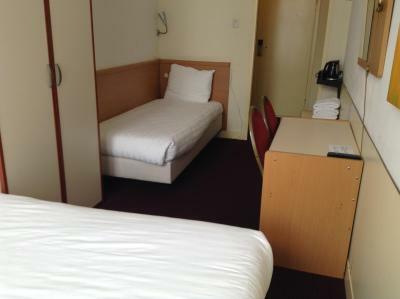 They first put me in a room in a building outside the hotel with a single bed even though I requested a double bed when booking. 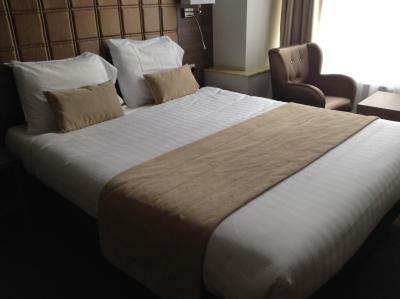 But then, after I complained about it, they moved me to a room inside the hotel, with a double bed – on the second night. The heater was also not working well. It didn't heat much. Also it's hard to carry the luggage in such steep stairs.